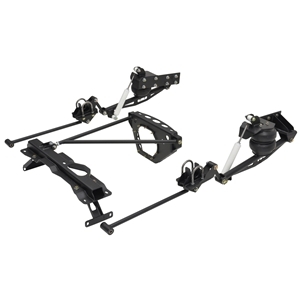 4-Link Cantilever 83-05 Ranger - Includes 4-link with triangulated upper link bars, cantilever and shocks. Options: Air bags and step notch. Gas tank is raised 3/4".